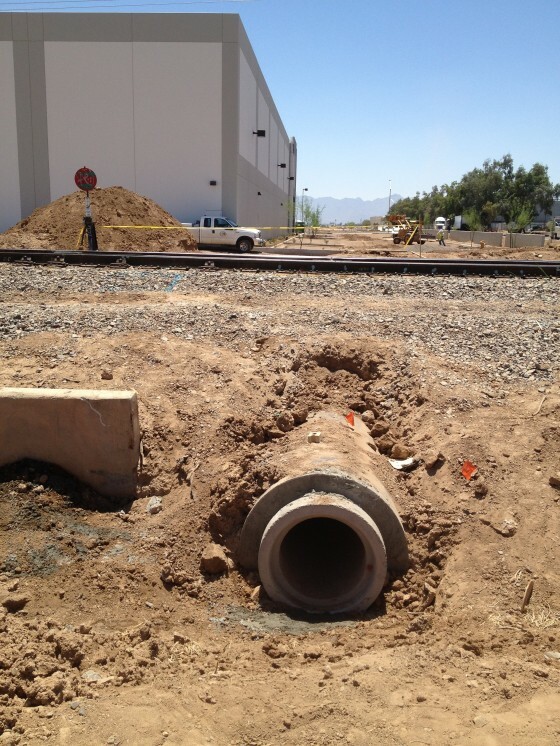 Description: Bore under RR tracks to install a 72′ long, 48″ steel casing to carry a 24″ RCP SRP line required for drainage under a new spur line at this warehouse/distribution center. Challenges: Project was being designed and approved by SRP as SSC and owner identified conflicts. 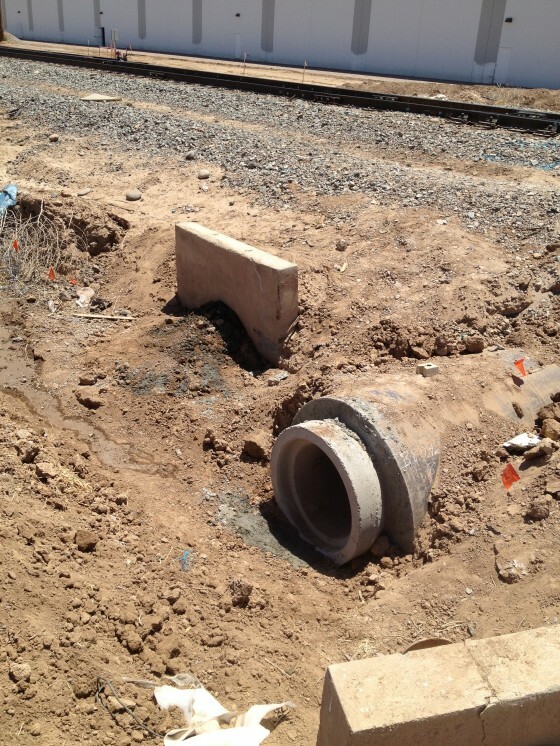 First project at a railroad that SSC performed as the general contractor. 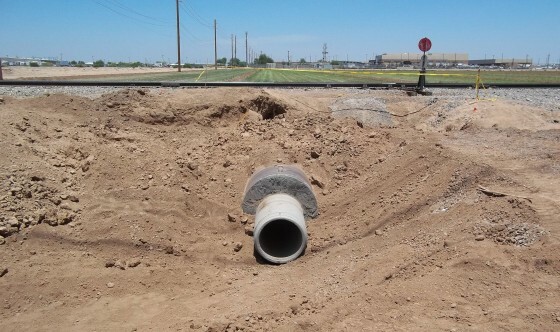 Additional permitting and insurance had to be obtained. 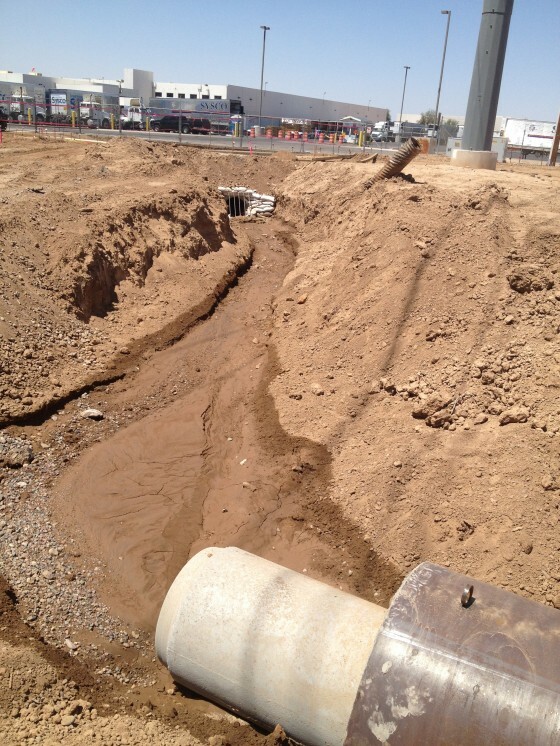 Results: Successfully installed the line and improved the drainage with no delays to the project.